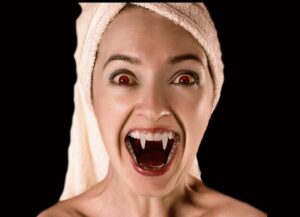 ‘Vampire Facelift’, the more common term for PRP treatments for skin rejuvenation and hair loss has been available for some time. Platelet Rich Plasma, or PRP is derived from the patient’s own blood and may contain growth factors that stimulate and increase collagen production. In the case of skin rejuvenation, the PRP can be applied topically – spread on the surface of the skin – or can be injected into specific areas, as in the treatment for scarring. To attain the PRP necessary to complete this treatment, blood is extracted from the patient’s arm and placed into a centrifuge which separates the platelets and plasma from the red blood cells. Some practitioners carry out a micro-dermabrasion treatment on the patient and then apply PRP directly onto the skin. However, for the best results for deep skin rejuvenation – for scarring, wrinkles and even stretch marks – micro-needling is the preferred method, as this treatment stimulates collagen and elastin fibre growth. Many people will have seen pictures of Kim Kardashian leaving treatments clinics with her face smeared with blood, looking for all the world like she has been in a gory horror film. This is because, at that point in time, the practice was to spread whole blood onto the skin without removing the red blood cells first. Nowadays, following a micro-needling PRP treatment, you will have a very red face for the first day post-treatment, look like you have mild sunburn on the second day and start to look more refreshed from the third day. The skin should start to tighten up after one PRP treatment, however the more frequently you ‘top up’, the better the result will be. As far as compatibility issues are concerned, as the patient’s own blood is used, there will be no threat of adverse, allergic reaction, so this treatment is suitable for everyone. After treatment you do need to pay particular attention to your skin care routine. As micro-needling introduces tiny holes deep into the skin, you should avoid make up for two days and any skin care acids for at least a week to avoid infection. PRP treatments for stimulating the re-growth of hair, in both men and women, have become very popular. PRP is injected directly into the scalp in the places where the hair is thinning and, after several treatments, the overall success rate has been good. 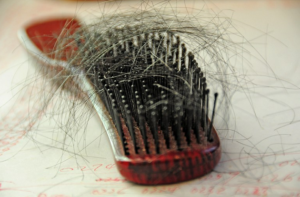 Patients have reported decreased hair loss and re-growth in many areas. If you would like to know more about PRP treatments, contact the clinic and arrange to talk to one of our medical professionals.